Poke fans, take heed: there's a new spot in town to get your fix. 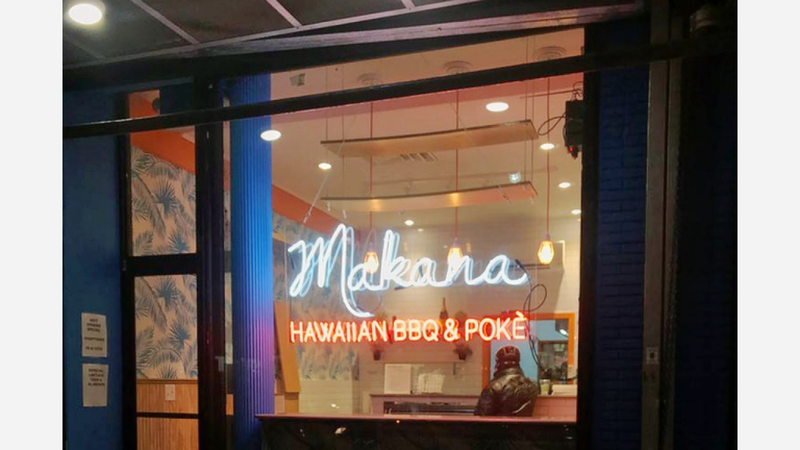 Called Makana, the newcomer is located at 1329 Saint Nicholas Ave. in Washington Heights. This new eatery--which has two other locations in the East Harlem and the Upper West Side--specializes in Hawaiian-inspired poke bowls, sushi rolls and Asian barbecue, according to its website. Like other poke joints, there is a customizable poke bowl option on offer, where customers choose the desired proteins and top it off with items like garlic chips, green onions and sesame seeds. For specialty sushi rolls, expect to see variations like the Makana roll with shrimp tempura topped with avocado, spicy crabmeat and masago (smelt roe); and the "Mango Tango" roll with tuna, salmon and avocado wrapped in mango and tobiko (flying fish roe). The new arrival has made a solid impression thus far, with a 3.5-star rating out of two reviews on Yelp. Carol C., who was among the first Yelpers to review the new spot on January 28th, said: "Tried the Kalua pig and salmon poke and tuna poke bowls. All were very tasty with great flavor combinations. Reminded me of all the traditional flavors I had when I was in Maui in a modern bowl format." Swing on by to take a peek for yourself: Makana is open Monday-Thursday from 11am-10pm, Friday and Saturday from 11am-10:30pm, and Sunday from noon-10pm.